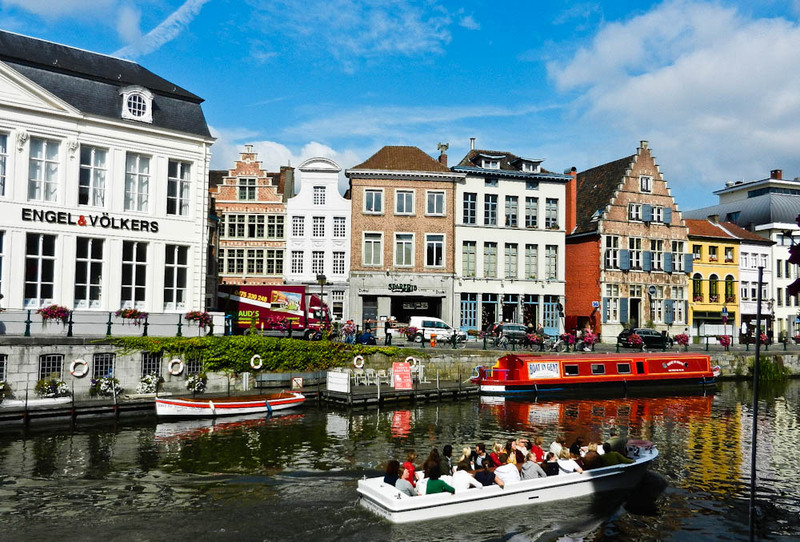 Best Cities to Visit: Ghent, Belgium :: Map Of City Overshadowed by the popular Belgian tourist destinations of Brussels and Bruges, Ghent is one of the world's best and hidden tourist destinations. Overshadowed by the popular Belgian tourist destinations of Brussels and Bruges, Ghent is one of the world’s best and hidden tourist destinations. Renowned for its wondrous architecture, friendly locals and small town charm, Ghent is certainly Belgium’s best-kept secret. As Belgium’s fourth-largest city, over a quarter of a millions residents call this charming town their home. The locals – known as Rope Bearers due to their rebellious nature while under the control of Roman and British powers – take immense pride in their their origins and are known for their hospitable and accommodating nature towards tourists. Over the years, Ghent has developed into a prominent European capital of culture and art, with more listed buildings than any other location in the country. Travelers first arriving in Ghent will undoubtedly be struck by the its dramatic architecture and museums. With an array of castles, cathedrals and churches lining the streets, it is understandably why most tourists spend their first days in the Ghent simply wandering around and admiring their surroundings. 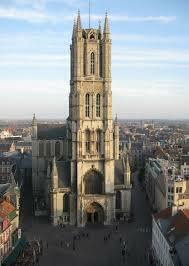 Perhaps the most well known architectural sight is the Saint Bavo Cathedral and Belfry. The cathedral – originally constructed as a chapel in 942 but later changed from a Romanesque to Gothic church – contains the beautiful Ghent Altarpiece. Also known as the Adoration of the Mystic Lamb, the altarpiece is composed of 24 panels depicting a number of traditional religious figures including Jesus, the Virgin Mary, and John the Baptist. Don’t forget to take a trip of the belfry tower to admire the breathtaking views from above. Upon leaving the majestic confines of the Saint Bavo Cathedral, visitors should be certain to visit the Gravensteen Castle. Located in the heart of the Ghent, this twelfth century stone castle was well preserved and restored over the years to provide visitors with an authentic glimpse of medieval Belgian life. Those who are not faint of heart can visit the slightly disturbing but thoroughly educational torture museum located inside the castle grounds – one of the more unique museums to be found throughout the world. Once you’ve satisfied your architectural and historical cravings, it’s time to relax and enjoy the many food and drink options that Ghent has to offer. Along with traditional Belgian food served in restaurants and markets such as waffles, chocolate and pomme frites, vistors would be remiss to leave without trying the famous Ghentse neuzen – or Ghent noses. These traditional Flemish candies are small, soft jelly fruit cones flavored of raspberry and are typically sold at street food stalls and markets scattered throughout any of Ghent’s districts. Which brings us to perhaps Belgium’s most famous international delicacy – beer. Certainly you’ve all heard of the high quality – and high alcohol content – of traditional Belgium beers. Chances are you’ve even consumed a few regardless of where you live, as Belgium beers are now available across the globe. However, there is no substitute for a crisp, cold local Belgian beer at one of the many beer pubs and bars scattered throughout the center. One of the most popular bars is the Dulle Griet, which offers over 100 types of beer on a regular basis including their famous Max beer. Be prepared! If you order the Max you’ll have to provide your shoe as collateral as the 1.2-liter glass that the beer is served in comes at a significant cost if broken or lost. No trip to Ghent would be complete without renting a bicycle – the city’s preferred mode of transpiration – to experience the streets and neighborhoods as the locals. Throughout the city you can find bike paths and zones where cars are prohibited to ensure that your bicycle tour is without problems. In fact, you will quickly realize that most of the locals prefer this mode of transportation to driving or walking. Just be certain to understand the rules of the road before taking off on two wheels. 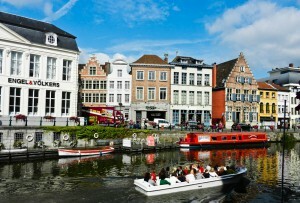 It’s easy to understand why Ghent is considered one the best kept secrets in Belgium and Europe. Combining small town charm with dramatic architecture, beautiful views and mouth-watering delicacies, it’s only a matter of time before it begins to make appearances on all of Europe’s top lists.